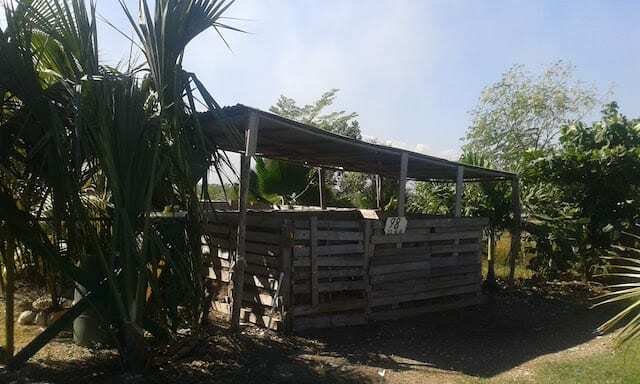 Regular readers of SOIL’s blog may remember that we committed to transforming our composting site at the municipal waste dump in Truitier into a green oasis. Just over one year after starting operations in Truitier, we had made significant progress on this transformation and updated all of you with the blog: Transforming Truitier. 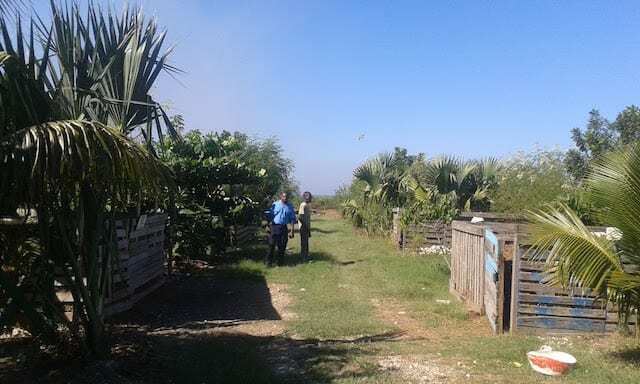 Since then, the trees have continued to grow and hundreds of butterflies have taken up residence in the site, creating a beautiful oasis within the municipal dump site. The larger Truitier municipal waste site, however, has continued to deteriorate over the past few years, with the SOIL oasis often surrounded by growing piles of refuse that blocked access to the site and disrupted operations. These refuse piles would frequently ignite, subjecting our hard-working employees to extremely difficult working conditions. This is in part why SOIL started searching for a new area to build our composting site, and that dream recently became a reality. We are excited to announce that we have moved our composting operations a few kilometers north of Truitier to Titanyen – close to the Olympic Parc in Croix-des-Bouquets. The new site is located on agricultural land, where we will be able to transform our waste without impacting our neighbors. 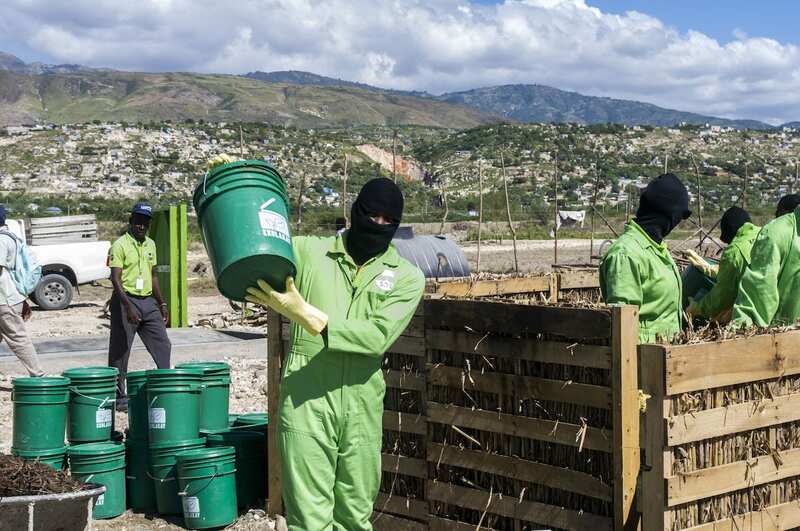 On Friday December 2nd we inaugurated an interim compost facility on this new land, where we are now treating material coming from toilets in and around Port-au-Prince. Meanwhile, SOIL is working on the construction of our long-term site, which should be operational in just a few months. Look for a blog in the coming weeks that will provide a bit more information about our exciting plans for this long-term facility that will support SOIL operations in Port-au-Prince! 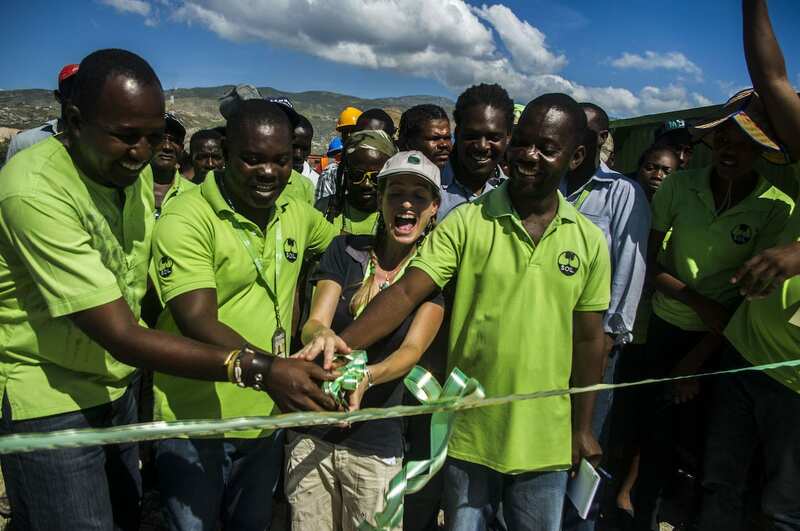 During a passionate speech that opened the inauguration ceremony, Sasha Kramer, SOIL’s Executive Director, introduced the composting team who have been working wonders in Truitier for the past couple of years and who now have transferred to the new site. Along with Baudeler Magloire, SOIL’s Regional Director, they shared SOIL’s history and achievements in Port-au-Prince, from emergency relief after the earthquake to the most recent developments of our household toilet service, EkoLakay. It was with pride and emotion that they cut the ribbon and entered the new site, followed by a cheerful crowd of the SOIL team and local community members. 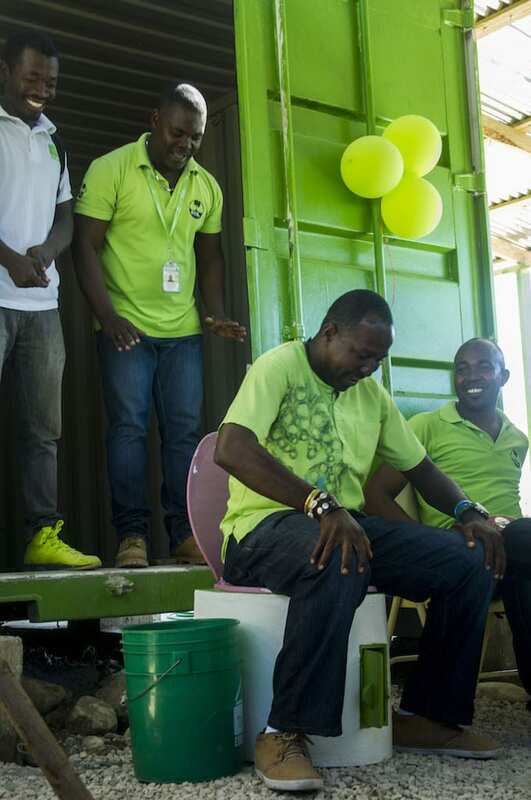 Later during the ceremony the audience was presented with a hilarious sketch sharing the 11 steps of safely using an EkoLakay toilet, starring Baudeler and SOIL’s long-time friend and supporter, Daniel Tillias – co-founder of the SAKALA Community Center in Cité Soleil. But the visitors wanted to see the site in action, too! With this in mind, SOIL’s newest program advisors and employees – as well as Daniel Tillias, always willing to help – got ready to empty and clean some waste containers. Donning overalls, rubber boots, hoods, and gloves in the scorching heat of the midday sun, these eager volunteers were closely supervised by SOIL’s compost team. This exercise gave the volunteers first-hand appreciation of the difficulty of the work that the compost team performs all year long while also demonstrating to the public the emptying process and the necessary hygiene and disinfection protocols that protect not just SOIL employees but the surrounding environment as well. The day ended with laughter and merriment before visitors and the SOIL team departed, excited about the interim site and looking forward to when the long-term compost facility is ready for its own inauguration. Keep your eyes on the blog to make sure you don’t miss anything! No Replies to "New Beginnings: SOIL's New Compost Site in Port-au-Prince"